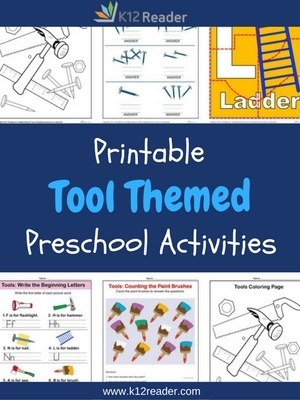 Teach your preschoolers about the letters of the alphabet, numbers, and colors as they learn about tools with K12Reader’s Tools Preschool Theme Activities! Your students will stay engaged and have fun as they work through a series of activities that provide variety for each subject. These printable worksheets are a great resource for both parents and teachers to use with their little ones as they prepare for Kindergarten!